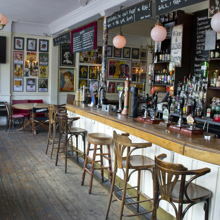 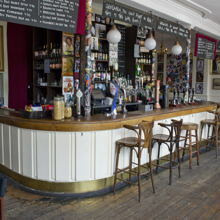 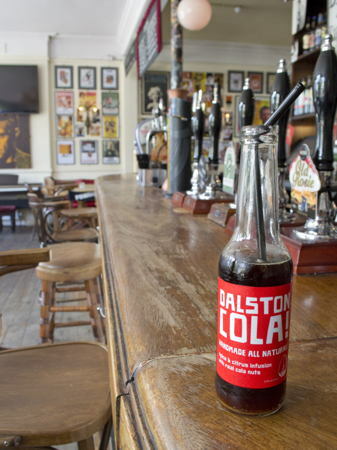 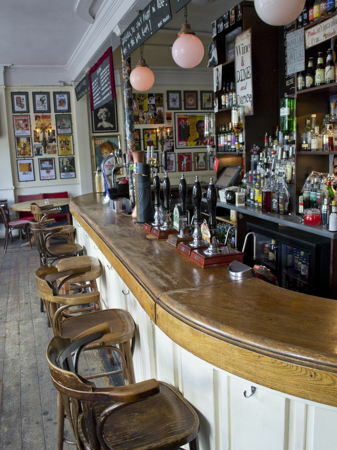 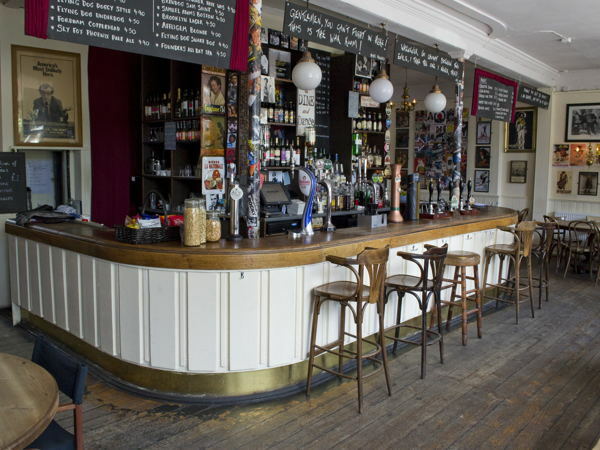 Our Islington pub is available to hire when closed to the public. 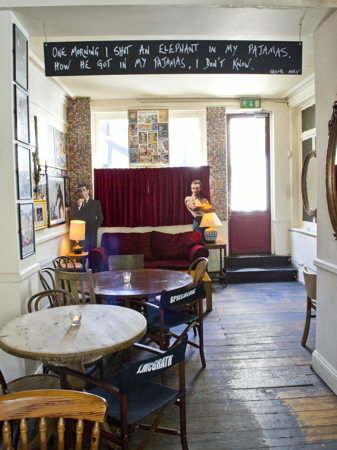 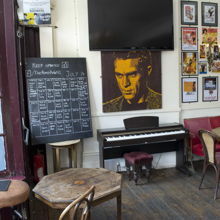 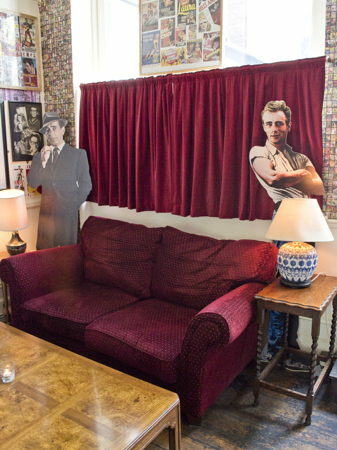 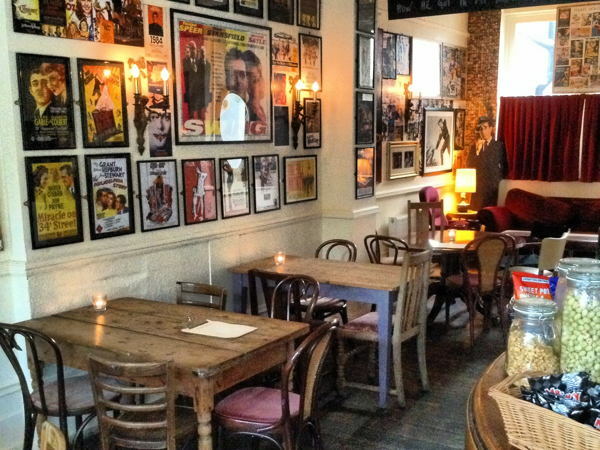 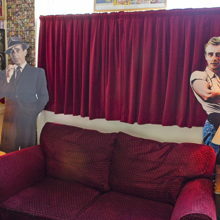 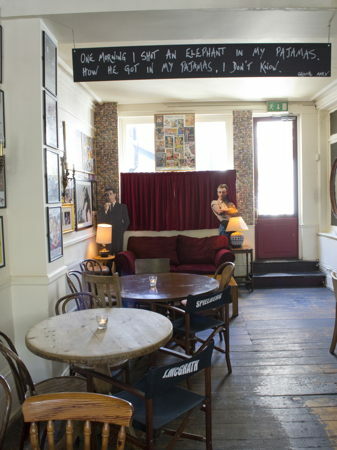 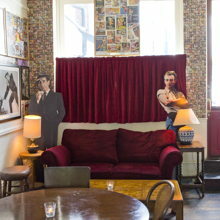 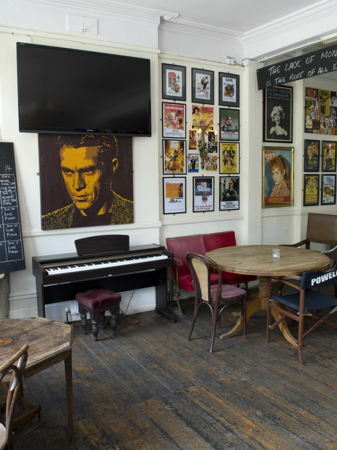 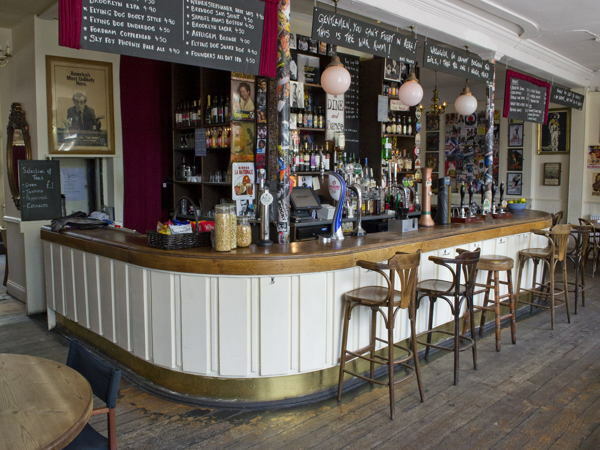 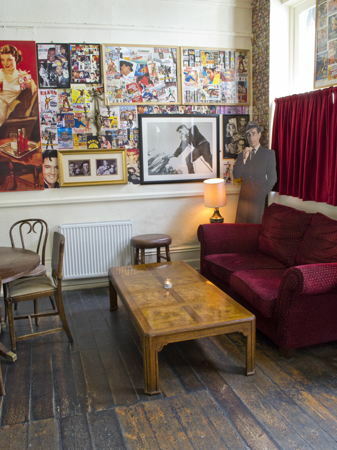 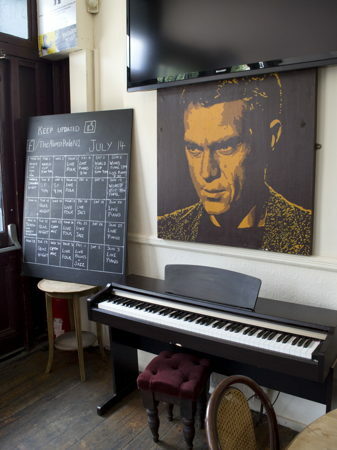 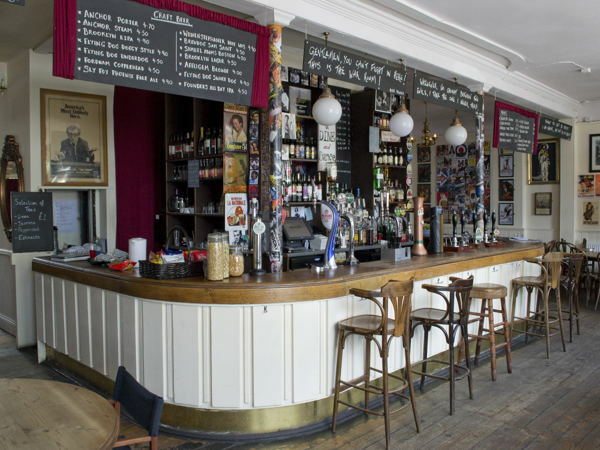 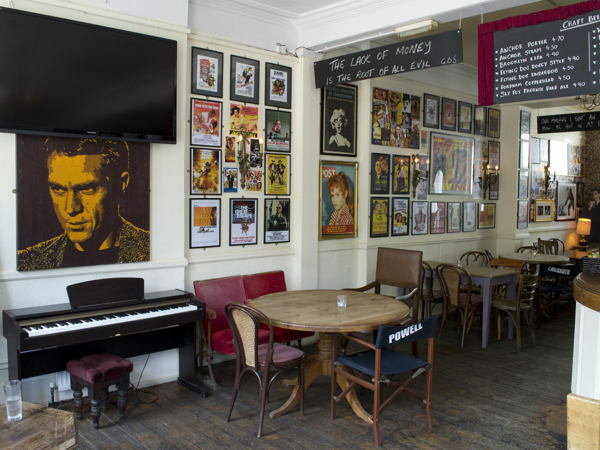 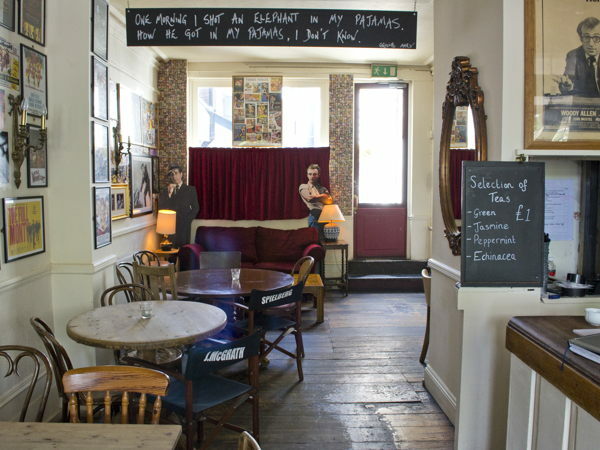 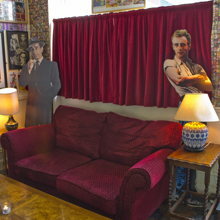 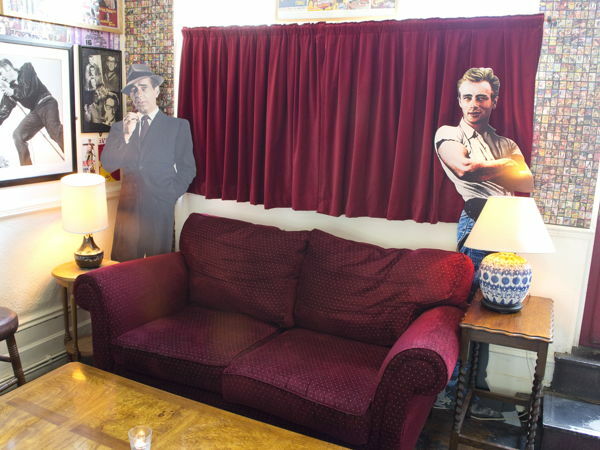 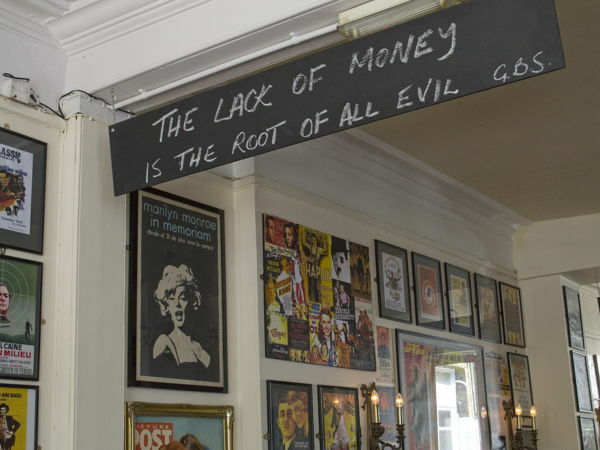 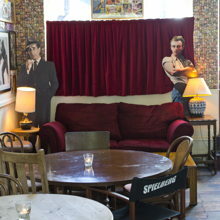 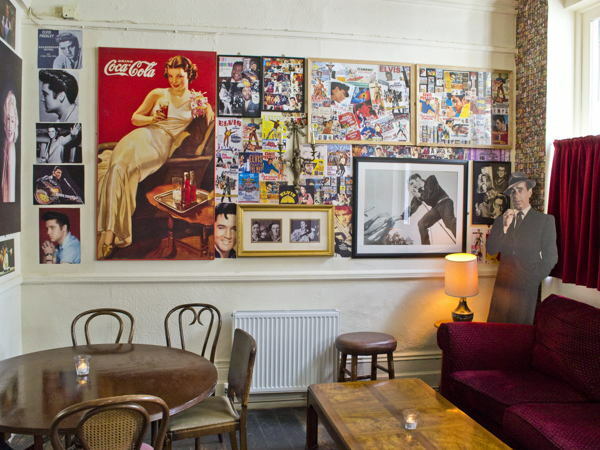 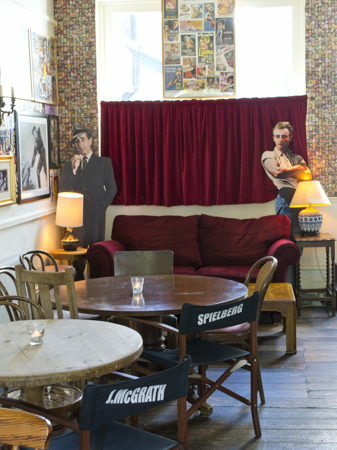 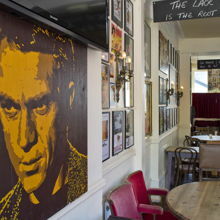 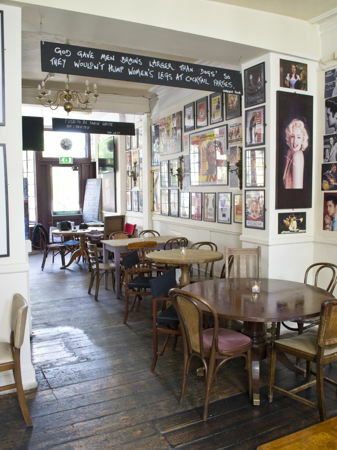 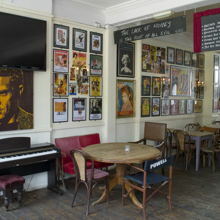 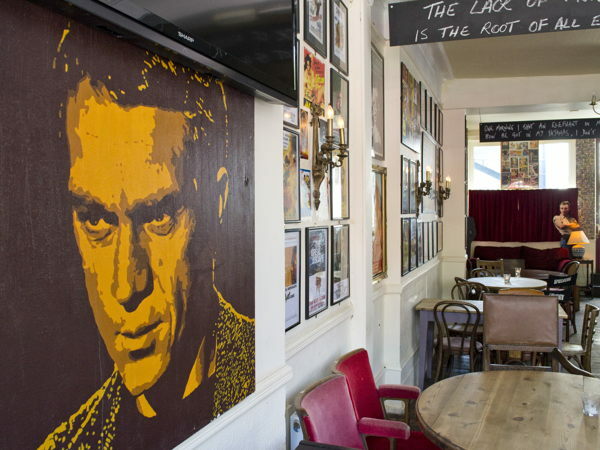 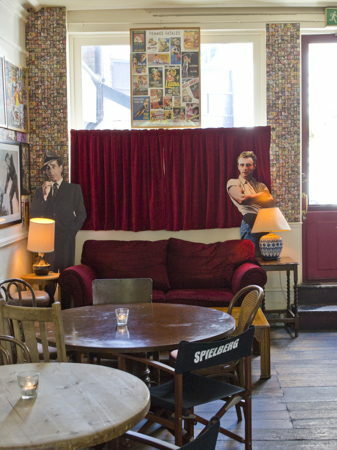 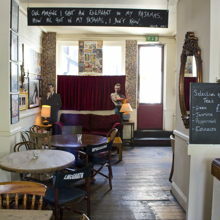 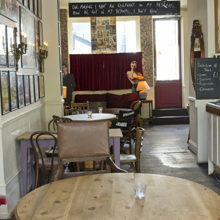 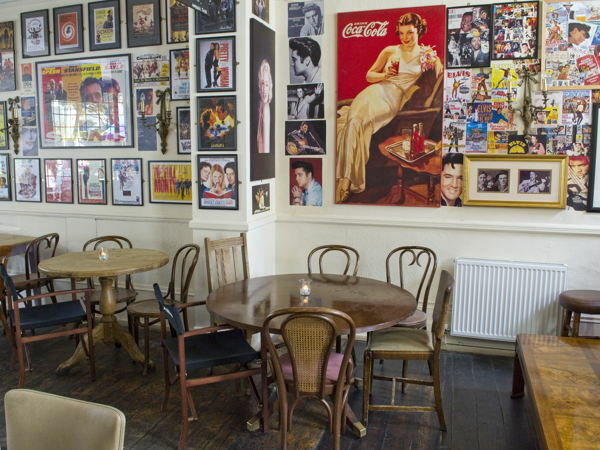 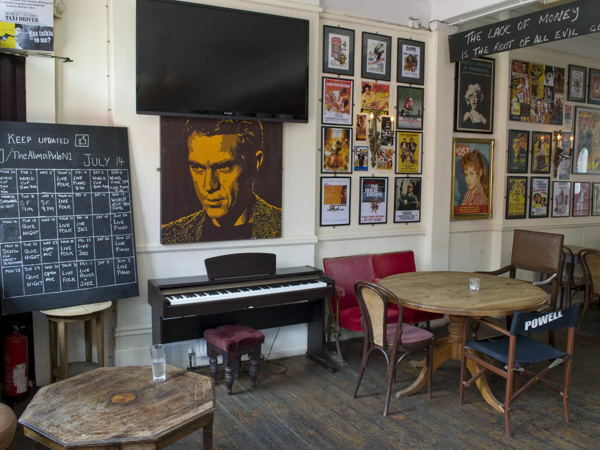 The movie themed venue is located in Newington Green, few minutes walk from Dalston Kingsland and Essex Road stations. 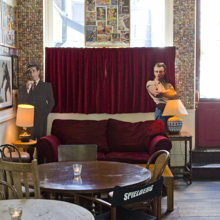 We are open to any kind of projects: photo shoots, seminars, workshops, marketing research, meetings or other private events. 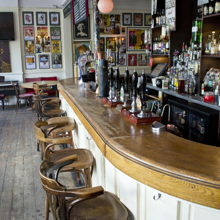 We can open the bar if needed - the price refers to dry hire. 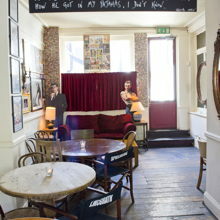 No kitchen. 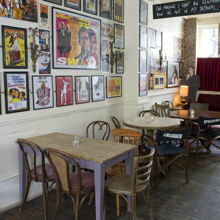 140 seats are available in the main space. 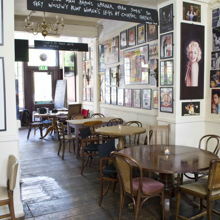 There are additional seats in the outside area / beer garden. 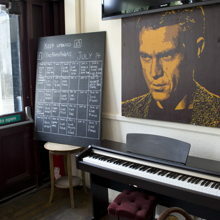 Please note the space is available only from 6am to 3pm, Monday to Friday. 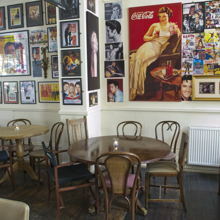 The Alma hosts regular events including Americana Street Food + Daily Chef Specials. 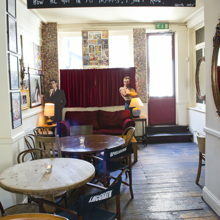 Sunday Roast Pop Up Kitchen. 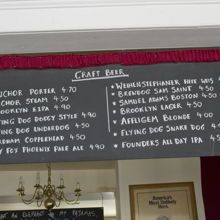 Draft/Bottled Craft Beer, Cider, Real Ale. 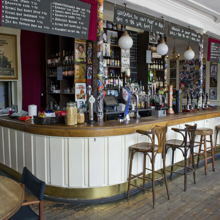 House Tailor Made Wine, Bourbon Whiskey List. 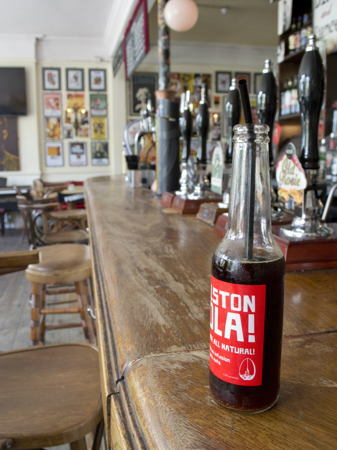 Rotating Craft Beer Bottle Shop. 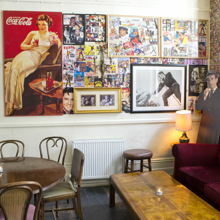 Contact us via We Are Pop Up for more details.